An exterior theme for modern homes using wooden and glass work for most of the design to add options of natural and artificial lighting. 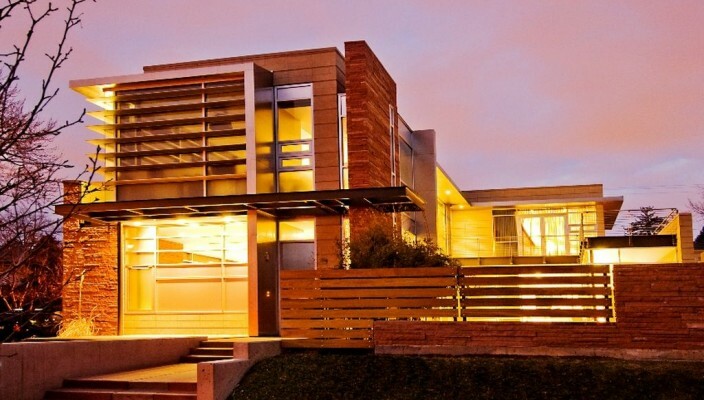 This modern home design is about luxury incorporated in a huge design on a large space. With most of the exteriors designed in wooden finish, the design offers an amazing balance of artificial and natural lighting. The windows are large, and one part of the frontal area is designed in glass panels for allowing natural lighting. Ideal for spaces where there are no design restrictions and views are not restricted by other homes in the neighborhood.